I have talked about it several times here on the blog that JJ is now is Preschool and loving it! I am always amazed at how much he has learned in such a short amount of time. I love to see my kids learning and discovering new things. JJ likes to work in workbooks and spiral note books, anytime he is writing or drawing he is happy. When I discovered Flash Kids I knew he would love them. 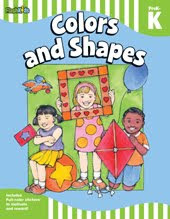 Flash Kids are workbooks and flashcards developed for Preschool - 6th grade that cover math, reading and language art skills. The workbooks for Preschoolers are colorful yet simple, with easy directions to follow that often times JJ could do it without my help. Love that! Here are all of the workbooks and flashcards we have been "working" on lately. They are all great and have been used over and over again. Flash Kids also offers items for the Gifted Student, 1st grade - 6th grade. I recommend these products to anyone hoping to give you child the confidence to learn and refresh their skills. Check them out today! 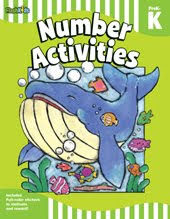 Flash Kids also has great FREE Download activities for your kids. Win a Pre-School set of workbooks for your little one. What is your child's favorite subject to learn? *Limited to US residents; 18 years old and above. Giveaway starts November 4, 2011 and ends on November 16, 2011 at midnight PST. Winner will be emailed and has 48 hours to respond before another winner is selected. I was not paid for this giveaway or post. The opinions on this item are 100% mine and may vary from others. The sponsor is responsible for prize fulfillment. 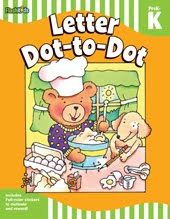 Like on Flash Kids Facebook Lisa W.
My 4 year old likes english (reading and writing). My 6 year old likes science. I'm following Flash Kids on twitter. My son enjoys learning his a-b-c's. I like Flash Kids on facebook. I follow Flash Kids on Twitter. My daughter loves English! She adores words. I like your new FB fan page! Honestly, my son loves to learn anything and everything, especially off of flashcards. If I had to pick a favorite, then I would have to say that it would be anything to do with the alphabet. Liked on Flash Kids Facebook. Following Flash Kids on Twitter as Mom2Jacob. Following Frugal Family Tree on GFC. Liked the new fan page on Facebook Frugal Family Tree. Following FrugalFamTree on Twitter as Mom2Jacob. http://swingingonsmallhinges.blogspot.com/ It is on the far left column. Thanks! Right now my daughter likes to count, but we really need to work on letters. My 4 year old daughter likes to practice writing her letters. Our best school days are when we're learning about outer space! My son loves the letters of the abc and we practice them everyday ! My son loves science and how things work. She loves learning to spell. My 4 (almost 5) year old daughter is learning how to read! She just loves letters! I like Flash Kids on Facebook! I like the Frugal Family Tree page on Facebook! I added your button to my blog, located on the right side! Reading is very popular around here!